Truth bomb: the clients I find most challenging are the serial yoyo dieters. That’s not to say it affects how I get on with them as a person, but they are harder work. A negative set of measurements, when I know my nutrition support has been ignored and traded for a shake, is as infuriating as it is upsetting. The same applies to those who refuse to change a thing nutritionally or do any training outside of our sessions but still expect the results. Without going too deep into my dislike of ‘diets’ as a whole, most meal replacement diets work by dramatically reducing calories while pumping you full of diuretics, a substance that promoted the production of urine. This leads firstly to a large loss in water weight, followed (if you can stick it out long enough) by muscle mass and a little fat. Once the bodies will to survive overrides the persons willpower they give up and binge, feeling horribly guilty, digested with themselves and miserable. How can you live a happy life weighed down like that? If a yoyo dieter tries eating **whole nutritious food for a week or two they usually find the scales don’t budge, they may even go up a bit if also exercising! This doesn’t mean fat loss isn’t occurring, but the body is adjusting and will take time to start showing on the scales. Muscle is growing stronger and can balance out the fat loss on the scales to start with. Miss Client has lost 7lb over 2 months by training 3-5 times a week and changing her eating habits to whole nutritious food. She has dropped two dress sizes. Consistently, over a year, Miss Client would lose 3 stone of body fat. Mr Client has been training hard for a year or so. He had grown a good amount of strong muscle but kept hold of a good amount of stored fat. He changed his diet to whole nutritious foods and over 5 months has dropped nearly 10% body fat and had to buy a new suit.. Twice. Miss/Mr Yoyo Dieter eats whole nutritious food for a week, exercises like mad, steps on the scales and hasn’t lost a pound. Gives up, grabs the chocolate and googles the next fad to try. Quite honestly, sometimes I feel that banging my head against a brick wall would be more productive. You should be thinking “How many dress sizes have you dropped? And would doing it the right way be less painful in the long run.” – It can be fun once you start making progress and realise how strong your really are! Be patient, put in the work and trust the process. If you hired a trainer, listen and act on their advice. And for god sake eat some dietary fats!! * vital macronurients – protein and dietary fat. Carbohydrates are not vital. Our bodies can survive without/with very little carbohydrates, although advice should be taken from a trained professionalif doing so. ** whole nutritious foods – meat, fish and poultry, some dairy, veggies and fruit, nuts seeds and oils. Limited grains, alcohol, processed foods and sugar. To start this post I need to take you back to the Paleolithic Period, around 10,000BC. This was the end of the ice age and the first trace of human existence. Humans survived and developed existing solely on hunting mammals and naturally grown vegetation, such as vegetables, nuts, seeds and berries. Not only did we survive, we flourished! Reproducing rapidly, learning quickly and developing new skills. We survived off the land, moving from place to place following food sources, until around 8000BC when cultivation of wheat began to spread. The early Egyptians were the first to develop the use of baking the wheat and creating bread. The cultivation of grains meant one thing; stability. Now humans could create their own food from the land, instead of roaming the land for food. They could settle in one place, a few square miles supporting hundreds of people instead of a hand-full. They could build, adapt and develop. You see, I am not saying refined carbs are the devil. They had their purposes, to feed thousands more people than game and vegetation could do alone. I’m not about to tell a starving Ethiopian child to stop eating his rice because it is bad for him. However, the point I hope to make today, is that in our modern society, in countries where fresh nourishing food sources are readily available, refined carbohydrates are not only unnecessary, but highly dangerous in the levels we consume them and are the main cause of the obesity epidemic we are struggling to keep up with today. For those that are unsure ‘refined carbohydrates’ are complex starchy carbs, your pastas, breads, rices and starchy vegetables like potatoes. Anything containing any form of grains or corn. They are packed full of refined carbohydrates and are completely nutritionally useless! Then what about my 50% energy allowance for carbs, which is the main energy system my body functions on? Well what if I told you you can get all the carbohydrate energy your body needs from Complex Fibrous Carbohydrates? That is, any vegetable. A little side note.. corn is NOT a vegetable. It is a man made CORN. Not vegetable. We are all born with the same DNA as our paleolithic ancestors. Less than 1/10th of 1% of our genes have changed in the last 10,000 years. We are born already adapted to survive off of the land, and then we mess it all up. 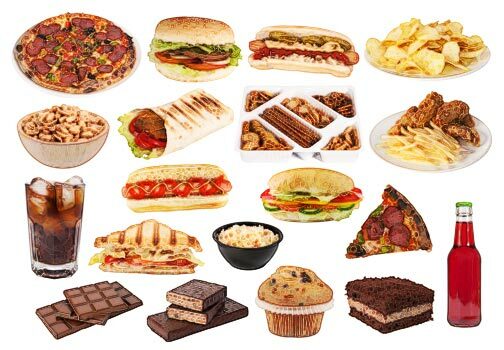 From an early age we are introduced to refined carbs and our bodies begin to rely on them, crave them more and more, and now we have an obesity epidemic on our hands with heart disease, type two diabetes, strokes and high blood pressure continuously increasing. However, ALL IS NOT LOST! As quickly as our bodies can adapt to ‘need’ and crave for refined carbs, we can adapt to not need them. Over the course of a few weeks of changing to a refined carb free diet we can actually reprogram our genes from deriving most of our energy from fat instead of carbohydrate. (I will get on to the importance of healthy fat in our diet in a future post.) Not only do we switch to burning fat, but the effects of eating refined carbs work against our bodies, making us tired, agitated and depressed, which by the way, it already does. We are just accustomed to the feelings and pop any pill the doctor prescribes to numb the effects. Now you have the basic idea of how our bodies can benefit from cutting refined carbs from our diet I will get into the science behind it all. I will try to keep it as simple as possible. Firstly carbs are sugar. Once carbs are ingested they are broken down (metabolised) into galactose, glucose and fructose.. sugar, to be absorbed into the gut, where they make their way to the liver and are turned into glucose molecules. Refined carbs have a very high glycemic index. The glycemic index relates to the amount of insulin needed to be released to control the blood sugar levels once glucose has been absorbed into the bloodstream. The higher the glycemic index, the higher the blood sugar levels rise and the more insulin is released. This causes your body to crash, some people have a higher tolerance than others, but everyone gets it in some form. If you feel drowsy and weak in the afternoon after eating refined carbs at lunch you have a low tolerance to the insulin rush produced. You would seriously benefit from cutting your refined carb intake, particularly at lunch. Exchange the calories you would consume from refined carbs for veg, healthy fats and protein. The slow releasing energy from complex fibrous carbs, monounsaturated fat and protein will keep you fuller for longer and is packed full of the micronutrients we need for normal healthy muscle function, digestion and cardiovascular system. You will also find your craving for salty, fatty, sugary foods will fall. The more sugar you consume, the more of it you crave. Trying to diet and cut calories while still eating refined carbs will just make life horrible, you will either be constantly battling cravings and feeling rough, or giving in to the the cravings and feeling even worse. No only will you feel rubbish, you won’t be losing fat. Once the liver breaks down sugar into glucose, the excess is stored in the liver. The liver only has a small capacity for stored glucose, so once the liver has reached full capacity the excess glucose is returned to the blood in the form of triglycerides (fatty acids). These are spread out to parts of the body to be stored as fat, usual places being belly, bum, breasts and thighs. Unlike the liver, the rest of the body has no limit to the amount of fat that can be stored! These days, by the time fresh food gets from the field, through the shops, to your house and into your system the accuracy of the nutritional value of the back is somewhat questionable. The guidelines were written when we were relying on our local green grocers/farmers market to supply our food. When food was from farm to consumer in a day, not a week. Every day that passes the nutrition in the food depletes. So it makes sense that 5 a day, should be more like 50% of your day, with healthy fat and protein making up the rest. Whether you want to lose weight a lot of weight, shed the last few pounds, or are perfectly happy with your size but want to heal yourself from the inside, I can only recommend cutting down on your refined carb intake as much as possible. This is, in my opinion, the only way of eating that is sustainable for life and 100% healthy. No FAD, No calorie counting, No chemicals. Complex Fibrous Carbs; Vegetables – all and every kind! Lots of green veg and try to ‘eat the rainbow’ to ensure you are getting every micronutrient you need. Protein: Game meat, pork, chicken, beef, turkey, lamb, fish (at least 2 sources of fatty fish per week; salmon, tuna, mackerel, herring, trout, sardines) and eggs. Healthy Fats: olive oil, canola oil, sunflower oil, peanut oil, sesame oil, butter (from grass fed cows) avocados, olives, nuts (almonds, peanuts, macadamia nuts, hazelnuts, pecans) walnuts, flaxseed, sunflower, sesame and pumpkin seeds and fish oil. I would love to hear your comments on this topic. Please leave them below.